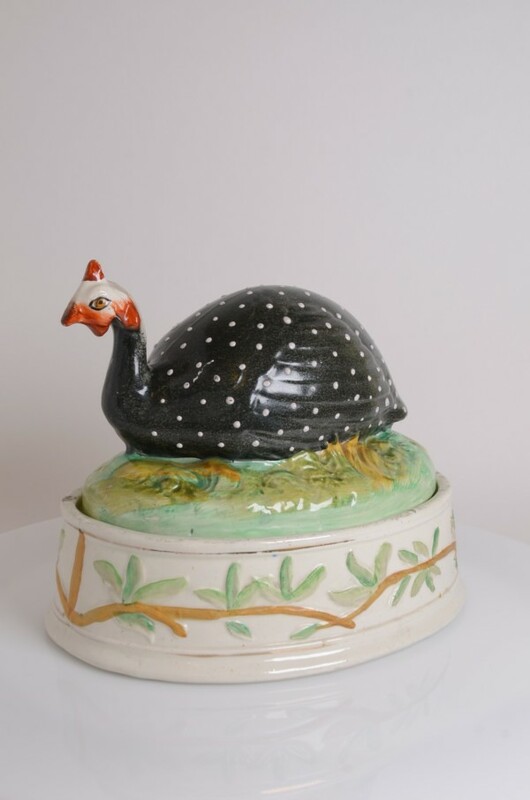 An exceptionally rare tureen and cover , its cover taking the form of a guineafowl . This is one of what is believed to be a very small number of surviving tureens with wild animal covers made by the Staffordshire potters c1860-80 . The very few other tureen covers known to have survived the years carry a leopard, crocodile, rhinoceros, horse and an elephant. 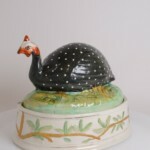 We also hold several other rare tureen’s as part of our current stock.